Welcome to my stop on the End of World Giveaway Hop, hosted by I Am a Reader, Not a Writer and My Life With Books. For my giveaway, I am offering your choice of two books I think everyone should have read before the end of the world. They may not be considered the best literary works, but they are two of my favorites, ever. I have read both of these books more times than I remember, and love them more each time. I am offering one winner their choice of paperback or ebook, and this giveaway is open internationally. Posted on December 13, 2012, in books, free, Giveaway, reading. Bookmark the permalink. 34 Comments. I love both those books. My fave: To Kill a Mockingbird. Wonderfull picks. I love To Kill a Mockingbird. Amazing choices! Thank you for the chance to win! I really loved To Kill a Mockingbird. I have a copy already, but it is getting old, so it would be great to get this newer edition. Thanks! 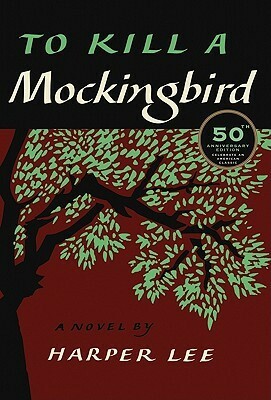 I would really love to win To Kill a Mockingbird. Would love to read To Kill a Mockingbird again!! I’ve been meaning to read To Kill A Mockingbird. Thanks for the great giveaway! Thank you for the giveaway! 🙂 I’d love to read Charlotte’s Web. Ahh Charlotte’s Web! I used to love that book. So excited for the chance to read it again. To Kill a Mockingbird was good but sad! Thanks for this giveaway. Those books are great, I love classic. Loved both books! Thanks for the great giveaway! I haven’t read Charlotte’s Web. Love To Kill A Mockingbird!!! I have a dog named Boo Radley! I forbid the world to end!! I have way too many books on my TBR list!! Merry Book-mas to one and all! Charlotte’s Web By E. B. White. Both great choices! Thanks for the chance to win!